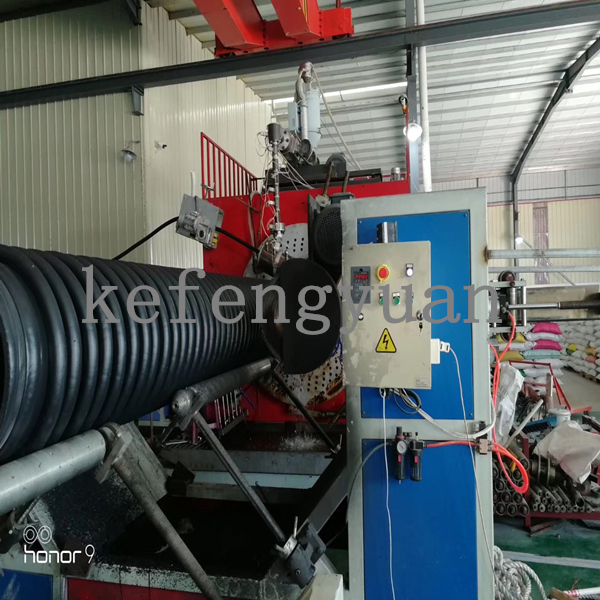 Single wall corrugated pipe size depend on the finish Krah pipe diameter. 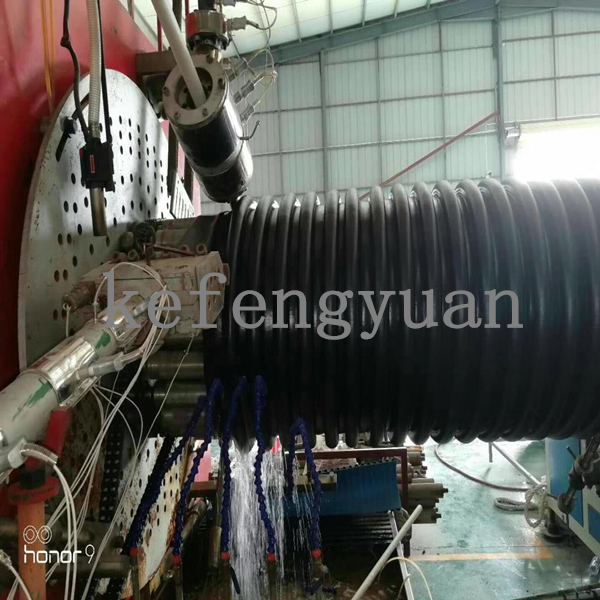 Forming machine is the same one with Hollow wall winding pipe machine and Spiral rib reinforced pipe machine. 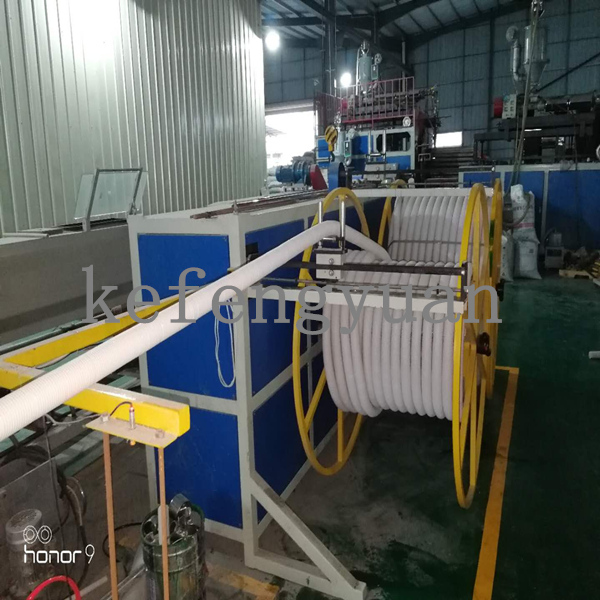 It's a kind of new generation high performance plastic spiral pipe line for large diameter buried drain pipe according to KRAH pipe production technology by Kefengyuan company with the intellectual property. 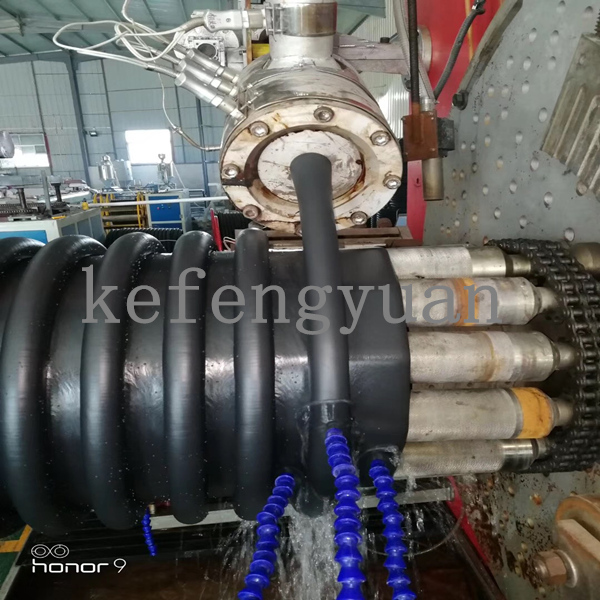 There's HDPE sheet mould to produce HDPE sheet to make sure inside of Krah pipe is flat. 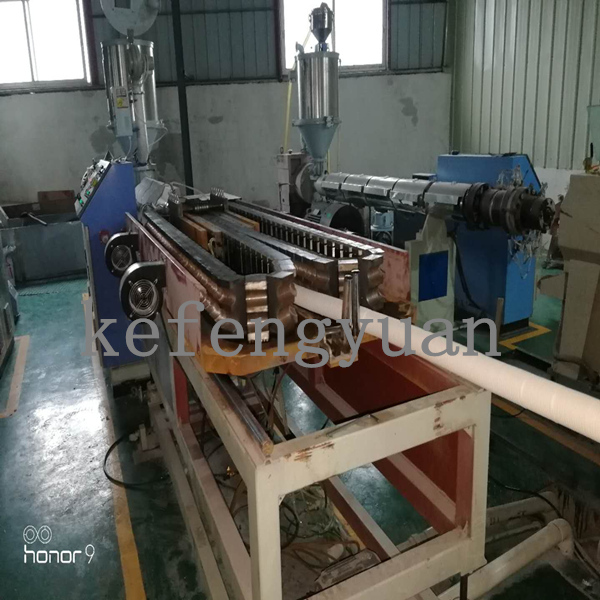 Single wall corrugated pipe machine: Equipped for the Krah machine. High speed, two cavity which can save machine cost. The mould block adopt 40Cr, hard hardness, long lifetime. 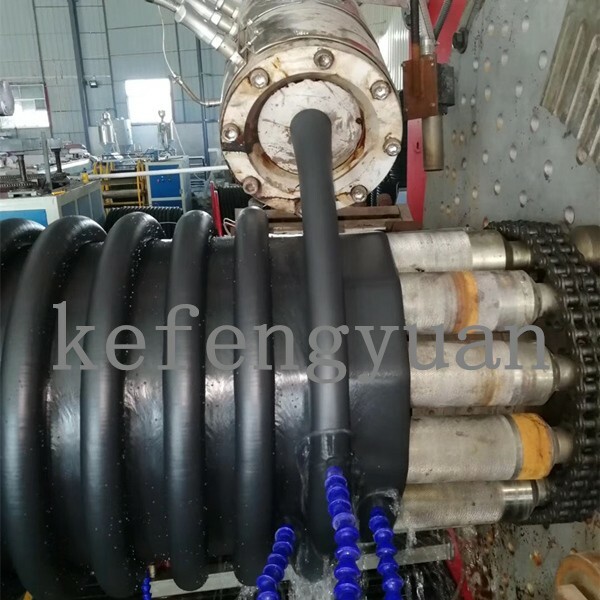 Kefengyuan made single wall corrugated pipe ourselves which make sure the final machine quality. 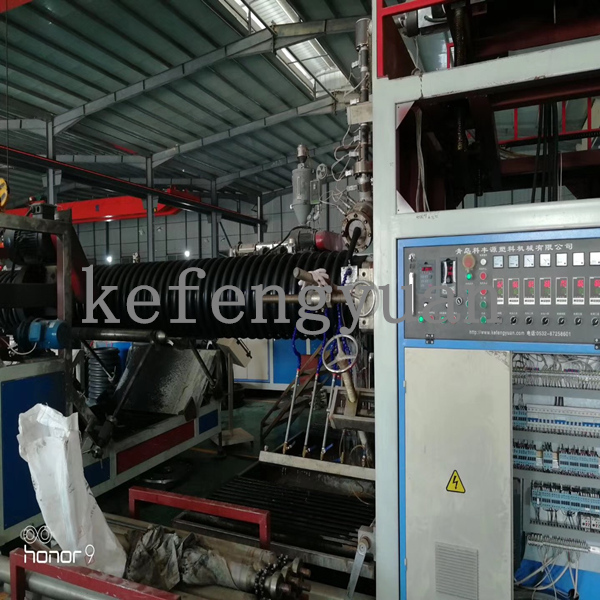 The machine running in customer's factory with good personality. Cutting Machine for Krah. High thickness stainless steel blade.